Are you ready for an Eighties Flashback? I remember heading to the mall with my girlfriends and the first stop we made was to the Orange Julius counter so we could enjoy this tasty treat while we shopped. Fun times! Well, no need to head to the mall crawling with teens now! This copycat recipe is even better than the original because we use the juice from fresh, ripe California Oranges. Big, beautiful oranges! We go through them this time of year. They are the perfect snack and can even boost your immune system during this cold weather season. Want to learn how to make your own? It’s super easy and I’m certain the whole family will love them. 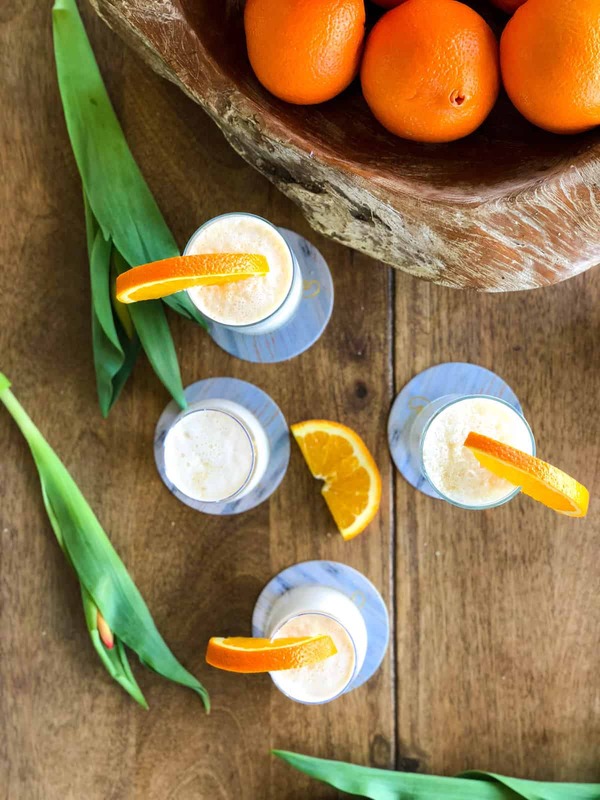 Who wouldn’t love an orange creamsicle in a glass? I used two varieties of navel oranges. Navels are perfect for squeezing because they are seedless and extraordinarily juicy! You can squeeze by hand or use a juicer. I love my juicer but found that some of these oranges were too large to fit. That’s a good problem to have! Once all the oranges are juiced, pour the juice into a blender filled with ice. It’s okay… get a little froth on your lips! TIP: If you have fresh California strawberries laying around, try adding in a few of those also.